John E. Robson served as dean at the then-Emory Business School from 1986 to 1989, leading the charge to raise the school to national and international prominence. The Robson Foundation, named for former dean John E. Robson, has pledged $2.1 million to establish the John Robson Endowment for the Study of Business, Public Policy and Government at Goizueta Business School. The gift, announced Nov. 29, will lead to the establishment of a program focused on the growing complexities of business and civics. The endowment will drive the efforts of the John Robson Program for the Study of Business, Public Policy and Government, directed by Jeff Rosensweig, an international business and finance professor. Robson served as dean at the then-Emory Business School from 1986 to 1989, leading the charge to raise the school to national and international prominence. 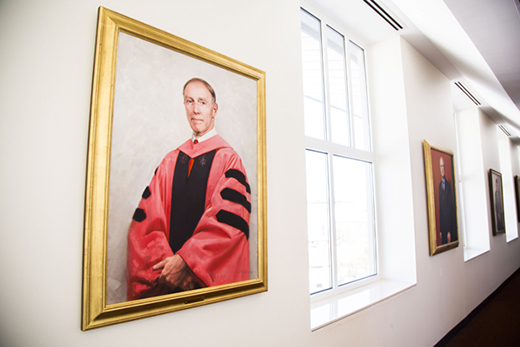 Among his contributions, Robson installed high-profile members of the corporate community on the Dean’s Advisory Board. Many faculty members were recruited during this time, including the late George Benston, Bob Drazin, Rob Kazanjian, Benn Konsynski, Jeff Rosensweig and Jag Sheth. He recruited key contributors now on the school’s senior staff, including Andrea Hershatter, senior associate dean and BBA program director, and Julie Barefoot, associate dean of MBA admissions. Robson also started the Global Perspectives Program with original funding by the school’s namesake, Roberto C. Goizueta. The Robson family remains connected to the school, in part, by supporting an MBA scholarship. The Robson Program will act as an umbrella for business school activities in the areas of business and government and will ensure the school remains present at the intersections of policy and industry. Among other duties, Rosensweig will facilitate various lectures and an annual forum for students, executives and faculty. The program will also include coursework in conjunction with Washington Campus.